This is my first post on acne.org and my first attempt to track my skincare routine and progress in the battle with adult acne. I’m 30 years old and live in Hong Kong. I have combination skin (oily t-zone) that fares poorly in humidity. Since mid-February, I’ve been dealing with a fairly serious breakout of acne, and for the past several months, I’ve been reading up on acne treatments, seeing dermatologists, and trying what feels like every possible solution short of Accutane. Hopefully, I’ll find a new regimen that sticks! BACKGROUND: Like a lot of adult acne sufferers, I never really had skin problems in my youth. I survived high school with minimal acne – just a few whiteheads here and there. In my teens and early 20s, I never even used face wash or any facial care products whatsoever except for a tiny dab of benzoyl peroxide on the occasional pimple. My first serious bout of acne started about three years ago, when I entered my late 20s. I had just started a new job that was very stressful. 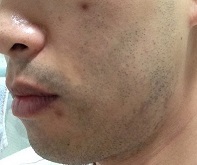 I'm not sure if it was stress or other changes, but I started getting serious acne nodules on my cheeks and lower jaw. I only had one active nodule at any time, but each one lasted for weeks, only to be immediately replaced by another nodule on another part of my face. Desperate, I started reading up on proper skincare and acne treatments. Early on, I discovered the AcneFree regimen on Amazon and started using it religiously. There was an initial purging and sensitive phase, where my skin got dry, red and burnt, but after a few weeks, I adapted to the BP and started seeing results. After about three months on the regimen, the nodules finally subsided and then disappeared. Over time, I adjusted my regimen to make it less harsh on my skin. I switched my facial cleanser with Neutrogena Oil Free Acne Wash Cream, and then used Thayers witch hazel toner for more gentle toning. I also began using a salicylic acid cream at night in lieu of BP. The regimen worked wonderfully. 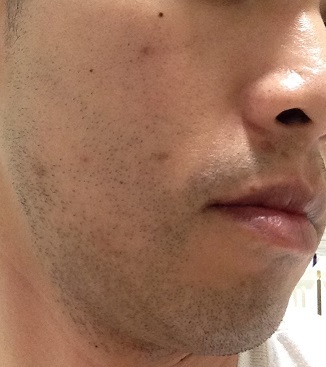 For the next two years, I was mostly acne free – just an occasional whitehead or comedone but nothing serious. Those two years were also enough for my skin to heal and all the hyperpigmentation to fade, leaving me without any acne scars or marks. The problem with long-term clear skin though, is that it lulls you into a sense of complacency. After a while, I got lazy with my skincare routine. I still washed my face religiously, but I started to get lazy about applying BP during the day. I also switched sunscreens regularly and started to get more adventurous with different skin products, including some anti-aging creams and serums. Then, in February, I noticed a nodule forming on my cheek. Over the following month, I started getting more and more nodules. Just like last time, it was one at a time, but as soon as one of them started to die, another one popped up. Each one was super deep and it would sting and throb painfully, and leave a deep, dark red mark and thick scar-like tissue as it faded. Suddenly, within 2-3 weeks, I went from clear skin to having 6 deep, painful nodules/pimples on my face. For the first time in years, I started worrying again about serious cystic/nodular acne and scarring. After a few weeks of trying to deal with it the normal way, I changed things up. I went to a dermatologist who prescribed tetracycline and a topical clindamycin. In addition to my BP and SA regimen, I started using tea tree oil on the nodules, and then Mario Badescu’s buffering lotion when I felt the TTO wasn’t enough. The first month on antibiotics, my skin dried up a lot but also cleared dramatically. But then, the acne came back, at first slowly, but then with a vengeance. One clogged pore on my cheek transformed into a huge, angry pustule that took almost a month to come to a head. Even now, several weeks later, it still remains a large, purple spot on my cheek. My dermatologist switched me to minocycline when he felt that the tetracycline wasn’t strong enough. I spent a month on the minocycline but without any noticeable results. That huge pustule finally died, but I was still getting more pimples elsewhere on my face. No more nodules anymore, but instead, blackheads, whiteheads, papules and clogged pores. Then, I finally got sick of the minocycline. It was giving me nausea and joint pain, and I was in constant fear of sun-spots and hyperpigmentation. So I decided to stop taking it. For the past week, I've been off the meds. Since then, I’ve changed my routine and so far, I’m seeing what feels like progress. CURRENT REGIMEN: I am still a believer in the power of benzoyl peroxide and salicylic acid, but I believe that my skin needs more exfoliation. So I’ve decided to upgrade my routine to include more topicals and more chemical exfoliation, including going back to BP twice daily. Mornings, I wash my face with Neutrogena Oil Free Acne Face Wash Cream, tone with Thayers witch hazel toner, and then apply Proactiv repairing lotion (BP 2.5%). Once that dries, I use a salicylic acid moisturizer (currently Oil of Olay daily renewal cream, but I may be changing this soon), followed by Biore Perfect Milk sunscreen. That sunscreen has a high alcohol content, but it's the best I've found for oil-control and waterproof sun protection that can stand up to Hong Kong's heat and humidity. Midday, I spot treat with tea tree oil gel (Thursday Plantation). In the evenings, I wash with Neutrogena Oil Free Acne Wash (gel version, which I find is better for removing sunscreen), then tone with witch hazel and reapply BP 2.5% and salicylic acid moisturizer. For the lingering, slowly fading acne, I've been using Mario Badescu's drying lotion to speed up the process. Once a week, I wash my face in the evening with Mario Badescu’s glycolic foaming cleanser. Twice a week (spaced out), I apply a 15% glycolic acid lotion (prescribed by my dermatologist) to my face, and keep it on overnight. For the first hour, it stings and tingles like crazy, but after that, it is fine. Those nights, I skip the BP and SA night treatment. In addition, I’ve made other important changes to my routine. I now drink lots more water (at least 10-12 cups per day), I try to exercise at least 4 times per week, and I’ve switched from black to green tea at work. I’ve also started taking half a teaspoon of fermented cod liver oil 5-6 times per week. ASSESSMENT/COMMENTS: In the past week, I have not had any new acne breakouts at all, and the clogged pores seem to be subsiding. My skin looks healthier than it has in a long time. And unlike when I overdosed on facial products a few months ago, my skin isn’t dry or peeling during the day. I am not sure if the current situation is due to the lingering effects of the minocycline that I took for a whole month, but I hope not. I’d like to think that the FCLO is helping combat sebum production, the increased use of SA has helped with penetration of the topicals, and the glycolic acid is helping with skin turnover and exfoliation. I guess only time will tell. For now, I don't want to get my hopes up. All of the nodules that erupted in February are now just small brown spots of PIH on my cheek – still noticeable but not seriously so. Ironically, the hyperpigmentation from the nodules that I had in March have almost completely disappeared – I think this is because I was much more diligent about treating them with buffering lotion/TTO/antibiotics as soon as they came out. The only big acne marks I have at the moment are the remnants of that gigantic pustule from late March and some PIH from a few whiteheads from the past two weeks. Hopefully, now that I am exfoliating regularly, all of the hyperpigmentation will fade more quickly than during my last major bout with cystic/nodular acne (back then, it took about a year before the acne marks were completely gone). NEXT STEPS: I’ll update this log with more information as I notice any changes to my skin. Since I live in Hong Kong, I have limited access to US products, but I do want to make some adjustments to my routine. Namely, I am thinking of replacing my current salicylic acid moisturizer with a cream version and then using a separate moisturizer, especially at night. I’ve ordered a manuka honey face cream and a neem oil face moisturizer, which I should be getting in the next month. I think these will help with the dryness I feel in my skin at night, while helping prevent against acne. It's been approximately a week since my last post, and I'm happy to report that I still don't have any new breakouts. I did have a red spot on the tip of my nose that looked like it was going to transform into a pimple,but I applied tea tree oil during the day and drying lotion at night for three days, and the spot disappeared. I also have an old acne spot between my nose and upper lip that looks like it's going to become a blackhead at some point, but so far, nothing has surfaced. I also have two small clogged pores along my upper lip line that I manually extracted (i.e., squeezed) and some sebum came out, so those two pores seem fine for now. I've been using Carmex brand chapstick, which I've heard can clog pores, so I might switch to a different brand if this problem persists. I'm on vacation for the next few days, so I'm temporarily off the fermented cod liver oil, since it would have been too much of a hassle to pack it. I'm still using BP twice a day in combination with salicylic acid though, so hopefully this will continue to keep the acne at bay. Aside from the semi-blackhead above my upper lip, I haven't noticed any clogged pores that look like they're going to turn into full-blown acne. The dark spot on my cheek from last month's huge pustule has lightened a bit, although not fast enough for my liking. Most of my other spots have faded to the point where they are not super noticeable in photos, but this one is still very conspicuous. The good thing though, is that the texture of that dark spot is smoother now, almost back to normal skin texture. Relatedly, I've been noticing that glycolic acid has helped a lot with skin cell turnover. When I use it overnight and then tone with witch hazel the next morning, the cotton round turns a dark grey/brown. I know it's not sunscreen or other skin products, since I don't use any of them overnight. It's a bit icky but also very satisfying to see all that dead skin. Maybe this is why I haven't been getting so many clogged pores. I have noticed, however, that my skin tends to be on the dry side, especially at night. I don't think the Olay salicylic acid cream I use is very moisturizing, but I don't want anything that will clog my pores. I'll be getting the manuka honey cream, neem moisturizer and Cerave Facial PM lotion in early June, so I can try those out, but if my face is too dry in the next 2-3 weeks, I'll get some Cetaphil moisturizing lotion at my local drugstore. This is the end of Week #3 without any new acne breakouts. The reddish spot on my nose is completely gone, and the clogged pores between my lip and nose (including the two clogged pores along my upper lip line) have returned to normal. This morning, however, I noticed one clogged pore on my cheek, so I'm actively spot treating it with tea tree oil gel and will use drying lotion tonight. I'm now back in HK and have resumed my fermented cod liver oil regimen (approximately 0.5 tsp per day). I've also started consuming small amounts of dairy again, after giving it up for approximately two months due to concerns that it might be exacerbating my acne problems. If I notice any new breakouts, I may give it up milk again. My face doesn't seem as dry at night anymore, now that I'm getting used to this new regimen. It still tingles and stings (for about 15 minutes) when I apply to glycolic acid lotion twice a week, and there is still also a small amount of itchiness and tightness when I apply the benzoyl peroxide. However, I don't notice any skin irritation, redness, peeling or flaking, and the itchiness/tightness go away when I moisturize. My skin seems to be on the path to recovery. The mark from the giant pustule on my cheek has faded slightly - it's now a dull purple/dark pink color, and it also seems a bit smaller in size. The other hyperpigmentation still looks roughly the same, although I am hoping the spots will continue to fade over the coming months. Even though I'm no longer on antibiotics, I still stay away from the sun and use PA++++/SPF 50 sunscreen, which should help. Week #4 and the acne-free stretch have finally come to an end. That clogged pore on my right cheek became a pimple on Monday, slowly getting redder and more inflamed. Luckily, it wasn't cystic-nodular, and even though it never really came to a head, it flattened after a few days of spot-treating with tea tree oil and drying lotion. The only problem is that it has left a fairly large dark purple/reddish spot on my cheek. I continue to get the occasional clogged pore right on my upper lip line, but have no other acne or clogged pores on my face. The hyperpigmentation spots seem about the same as last week. I'm not sure what caused the latest breakout - my dairy consumption, recent lack of sleep, the period during vacation when I was off cod liver oil two weeks ago, or the fact that I'm not on antibiotics anymore. But I'll cut down on the dairy and be more diligent with the other steps in my regimen, and see if I get any more breakouts. My regimen is still largely the same, although I have started experimenting with using Cetaphil gentle skin cleanser as a face wash on some nights, rather than the Neutrogena Oil Free Acne Wash. All the sources maintain that BP or SA in a face wash doesn't stay on your skin long enough to do anything, and since the gel version of the Oil Free wash is pretty drying, I figured I would try something more gentle. The consistency of the Cetaphil cleanser is a bit strange, but it seems to work fine at cleansing and removing sunscreen at night. It doesn't really feel moisturizing, but it also doesn't leave my face feeling overly dry. My face definitely struggles with dryness, and I usually wake up in the morning with an oily face, so I think my skin tries to compensate. I see my dermatologist tomorrow, so I'll get a chance to talk through some of these things with him. During my last visit, he raised the possibility of Accutane, given that my acne is primarily cystic-nodular and didn't seem to be responding super well to antibiotics. I'm wary of the side effects, though, especially since I have fairly dry eyes and a history of GI problems. I still have Accutane in the back of my mind as a last resort, but as long as the current regiment works, I am not planning to go that route. Its been about two weeks since my last update, but theres not too much new to report. The biggest thing was that I decided to go back on the minocycline because I started worrying about what appeared to be a recurrence of acne, mostly on my cheek and around my mouth. These started off as clogged pore, but began to look like potential nodules in the making. I was on the minocycline for about a week when the edges of my lips started to turn a bit purple/blue, so I immediately stopped it. The discoloration isnt too dark or noticeable, but I am hoping that it fades soon. Aside from the three clogged pores, which still have not developed into full-fledged pimples in the past two weeks, I dont have any other new acne. The hyperpigmentation continues to fade ever so slightly, but itll probably still be several months before I notice any big improvement. I have finally gotten my shipment of new skin care products, but its been a mixed bag. Im now using the Neutrogena Rapid Clear Acne Defense Lotion (SA 2%) twice a day, which seems to help a bit with skin exfoliation I am now noticing that when I tone my face, more dead skin is rubbing off onto the cotton pad, even on days when I dont use the glycolic acid peel. I also now use Cerave Facial PM Lotion at night, which is okay although a bit sticky. I also tried the manuka honey moisturizer, but unfortunately, it caused an allergic reaction so I stopped. I've upped my dosage of cod liver oil to about 3/4 of a teaspoon per day, which hopefully will help keep the acne at bay. I also bought the capsule versions to take with me when I travel, since the liquid version is too big to pack. Fermented cod liver oil is available here in HK, but it's a big savings to order it in the US direct from Green Pastures, so next time I'm in the States, I'll stock up. It’s been four weeks since my last post, and I’m happy to report that I’ve not had any new acne breakouts at all in the past month. Aside from the few stubborn spots of hyperpigmentation that remain on my cheeks, my skin is smoother and healthier than it’s been in months. I suspect that the answer to my skin issues is probably Vitamin A. Upping my dosage of cod liver oil seems to have made the biggest impact on my skin. However, I’ve also continued to fine-tune my regimen. Most notably, I’ve started regularly using moisturizer, both at night and during the day. For years, I’ve used benzoyl peroxide without any moisturizer, and although I didn’t have much skin flakiness, I’ve recently started to notice that my skin is dryer and my pores appear larger. Also, I used to wake up with an oily face, since my skin would overcompensate. Now that I moisturize twice a day, these problems have disappeared. At first, I tried using Cerave Facial PM lotion, but it stings my face a bit upon application. I still use it off and on, but my favorite new moisturizer is Alaffia’s Neem Oil Moisturizer. I originally had my doubts, especially since it contains unrefined shea butter, which I’ve heard can be sticky and clog pores. However, this neem moisturizer has been really effective at keeping my skin well hydrated, and I’ve not noticed any breakouts or clogged pores in the past month that I’ve been using it. The shea butter makes my skin very smooth, and the neem oil helps keep my skin clear. The only downside is the smell. It’s not as bad as pure neem oil, but it has a strong herbal scent that lingers all day. Mornings, I wash my face with Neutrogena Acne Free Cream Cleanser, then apply Thayer’s Lavender Witch Hazel Toner with a cotton pad. After letting my face dry, I spot treat any potentially troublesome areas with Mario Badescu’s Buffering Lotion, then apply Neutrogena Rapid Clear Acne Defense Lotion (2% salicylic acid). Afterwards, I apply Proactiv Repair Lotion, wait for it to absorb, then apply Alaffia’s Neem Oil Moisturizer. Finally, I use Bioré Perfect Milk Sunscreen. At night, I use the same regimen, minus the sunscreen. Twice a week, I skip the above and just wash my face and use Neostrata Glycolic Acid 15% overnight, adding a moisturizer as necessary. Additionally, I continue to drink a lot of water, exercise regularly, and eat a low-sugar, high-fiber diet – all habits which also may be contributing to my skin health. I’ve started bringing more dairy back into my diet, and I’m gradually adding whey protein shakes to see if I can handle these without breaking out. Now that my acne seems to be mostly under control, I’m thinking of scaling back my regimen. I would strongly prefer to stop using BP or, at least, drop the application down to once a day. I briefly experimented with using just salicylic acid during the day and BP at night during a trip a few weeks ago, without any breakouts. However, that was just a few days, and I really don’t want the acne to come back if I switch to a different regimen long-term. It's been four weeks since my last post, and I'm still completely acne free! I think this two-month stretch is the longest that I've been entirely free of any new breakouts. Even for those several years that my nodular acne was in "remission," I still had occasional clogged pores and whiteheads, not to mention that there always seemed to be trouble spots brewing under the surface of my skin that just never seemed to actually turn into pimples. And of course, when I was on minocycline, that wasn't able to keep my skin clear either. Now, my face continues to look healthy and blemish free, except for those hyperpigmentation spots. I've started treating them with Ambi Fade Cream (approximately 1 week now), so I'm hoping that will accelerate the fading. 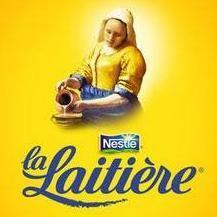 In the past month, I've not noticed any problems with resuming whey protein shakes and some dairy (although I am lactose intolerant, so I do try to limit consumption). I still generally try to eat a clean diet, drink lots of water, and exercise 4-5 times a week. As for the fermented cod liver oil, I'm now taking half a teaspoon per day. When I'm traveling, which is frequent, I usually take 5-6 gel capsules instead. I feel this is a good enough dosage to keep my skin clear without risking too much Vitamin A intake. In the past three weeks, I've again adjusted my routine slightly: I've started to scale down my application of benzoyl peroxide to 1x per day, rather than 2x per day. This doesn't seem to have any adverse effects, so if I remain acne-free for another few weeks, I might only use BP every other day, and then only as a spot treatment. I am curious whether the combination of FCLO + salicylic acid + neem oil moisturizer is enough to prevent my acne. However, I am also really wary of getting any more acne breakouts, so I am taking these changes slowly. One other thing is that I plan on experimenting with African black soap as a facial cleanser, since I don't think I need to use a salicylic acid face wash. I will get a bottle of ABS next month, so I'll see how that goes. Over the past several years, I’ve gotten used to having dry, irritated skin. After I washed my face, my skin would feel painfully dry until I toned and moisturized. I would be extremely careful to have toner whenever I traveled or even showered at the gym because I hated that dry, itchy feeling, the redness, and the skin flakes. And every time I used benzoyl peroxide, my skin would sting and burn just a little, reminding me that it was heavy duty stuff. That’s all changed in the past several weeks. I’ve made two big changes to my regimen: (1) I transitioned to using Cetaphil Gentle Skin Cleanser every day instead of Neutrogena Oil Free Acne Wash, and (2) I finally stopped using benzoyl peroxide about three weeks ago. I’ve been considering both for a while now. My face wash has always been a bit drying, even when I switched to a gentle-skin version of the acne wash. And I have read multiple sources that say that a BP or SA cleanser doesn’t help much, since there isn’t much skin contact. I’ve also been meaning to stop the BP for a while now, but I was always afraid that the acne would come back in full force. I’m happy to say that these two changes are for the better. My skin doesn’t just look better than it has in years -- more importantly, it feels better. My face feels supple and hydrated after I wash it, and even when I don’t use toner, it doesn’t get dry or irritated. I no longer wake up in the mornings with an oily face, and during the day, my complexion is bright and a bit dewy. My pores are also much less noticeable. I also don’t feel any stinging or burning (except when I use my glycolic acid lotion); the Cerave PM lotion no longer stings upon application. I don’t know what has caused the change in my skin, whether it is switching cleansers or stopping the BP. But I do know that even compared to a few months ago, when I started the cod liver oil and new moisturizers, my skin has shown improvement. Moreover, it’s liberating not to have to worry about BP anymore. I no longer shudder when I sweat, knowing that the collars of my shirts are going to be stained, or worry when I sleep whether I’m going to ruin the sheets and pillowcases. I also save some time every day not having to apply the BP and wait for it to dry, and I’m not as obsessive about washing my hands to avoid inadvertent bleaching. I’m still using salicylic acid twice a day just in case, to keep the acne at bay. I don’t know if it’s necessary, but it’s a comforting step, and I don’t have to worry about bleaching or increased photosensitivity. Skip the toner and replace SA lotion with Neostrata AHA 15% glycolic acid lotion. Two notes: (1) I now have a supply of AcneFree and ProActiv products that I don’t know what to do with… face washes and BP lotions that are too harsh for my skin. I’ll be keeping them around for a while just in case, but unfortunately they will probably go to waste. (2) I bought a bottle of African black soap (liquid) and a bottle of jojoba oil when I was in the States, and am going to look into incorporating these things into my regimen. For now though, I am not sure I want to mess with a good thing. Time for another update: I haven’t had any bad breakouts since stopping the benzoyl peroxide a couple of months ago, and for the most part, my skin looks okay. That said, I am not completely clear. I still have some clogged pores on my cheeks, and the occasional pimple, which is enough to be inconvenient and cause constant worry of a recurrence of cyst and nodular acne. Also, the hyperpigmentation is taking forever to fade. Last week, I had one clogged pore that looked like it was going to transform into a cyst. I blasted it with tea tree acne gel, buffering lotion and drying lotion, and it quickly flattened after three days. However, it left an ugly dark purple spot on my face, which will take a few months to fade (hopefully without any scarring). I plan to introduce retinoids slowly over the next several months in an effort to control the initial irritation. I am starting with a tube of AcneFree Severe Retinol Renewal Complex, which I will use for a while before graduating up to a stronger retinoid. Here in Asia, both Retin-A cream and Differin are easy to get, although it’s not the same case for Ziana. Since I’ve not had much acne recently, I’m hoping the retinoids won’t cause a severe outbreak. I’ve made some changes to my skincare regimen that I wanted to document for my future reference. A few weeks ago, I started using a Vitamin C serum (Skinceuticals AOX+ 10) daily, since I’ve read that it can help fade hyperpigmentation, boost sun protection, and help repair and prevent photoaging and sun damage. I apply approximately 4-5 drops on my face and 2-3 drops on my neck every morning after toning. At first, it caused some tingling and irritation, but my skin has since adjusted. I haven't really noticed any difference, but I hope it's working. I’ve also switched my nightly application of 2% salicylic acid to the retinol renewal cream, in order to get my skin used to retinoids. Two days ago, I also applied Ziana for the first time (buffering with moisturizer ahead of time). I haven’t experienced any peeling, redness, irritation or purging thus far, so I plan on using the retinol cream 2-3 times a week and the Ziana gel 1-2 times a week until I can move up to every other day. I’ve also temporarily stopped the 2x weekly glycolic acid treatments. I may be paranoid, but a few months ago, I started noticing what looked like spontaneous scarring (tiny little indentations) on a few areas of my face, which may or may not have been there all along. Just in case, I’m holding off on the glycolic acid exfoliation for now. Lastly, as it’s gotten colder and dryer in Hong Kong, I’ve switched from Biore Perfect Milk to Biore Aqua Rich Watery Essence. This is a chemical sunscreen that is not water-resistant and doesn’t have any mattifying properties, but it is completely invisible, has hyaluronic acid, and is very moisturizing for the cold weather. I don't sweat much in the winter, and I spend all day working in a windowless office, so I don’t have to worry about reapplication during the day. It’s been a while since I’ve updated this log, but given recent skin issues, I think it’s time for a post. Since my last post, I’ve been pretty diligent with the above regimen, minus any retinoids. After trying out Ziana once or twice, I stopped because I didn’t think that I needed to add anything new to my regime, and I was worried that tretinoin might lead to spontaneous scarring or pitting. The salicylic acid and cod liver oil seemed to be doing an okay job of keeping my skin mostly clear. That’s changed in the past month. Since mid January, I’ve been battling with yet another recurrence of acne. This time around, it’s not cystic-nodular and it’s actually fairly mild, but I’ve had enough new acne to leave noticeable PIH in three clusters: on my left cheek, one above my lip, and one on my chin. In addition to these dark spots, I have a large number of closed comedones and clogged pores on my cheeks, which may lead to more acne in the coming weeks. I’m not sure what has caused the sudden change in my skin – it could be because of recent travel and stress, a recent cold spell including a drop in humidity, or possibly some changes to my diet, including more dairy and whey protein supplements recently. Right now, my skin isn’t too broken out, but I’m hoping to take steps to keep it from getting much worse, as it did last year. Therefore, I’ve decided to make some more changes to my skincare regimen, to see if I can finally find something that works. In the past two weeks, I restarted the Neostrata AHA Lotion Plus 15 glycolic acid treatment at night, going up to every other day. Since that hasn’t shown any substantial improvement, I’ve decided to give tretinoin another chance. I plan on slowing easing my way into retinoids, in hopes of minimizing an initial breakout – although I would still take a brief spell of purging over long-term bad skin. Tonight, I buffered by diluting a pea-sized amount of Ziana with Cerave Moisturizing Cream. I applied approximately an hour after washing my face with Alaffia’s African Black Soap and toning with Thayers Lavender Witch Hazel. I will see how my skin feels tomorrow morning, and then put together a tentative schedule based on that. Yesterday was the second time that I applied Ziana gel (buffered this time with Cerave Facial Moisturizing Lotion PM). On the two off days, I used a glycolic acid 15% lotion on Sunday and a salicylic acid 2% on Monday. No redness or irritation so far, but I did feel some tightness yesterday after applying the Ziana. Not sure if it's the initial breakout already (seems way too early), but my skin is looking pretty bad. One of the clogged pores just under my nose erupted into a huge pustule, which is bright red and filled with white pus. A lot of the bumps on my cheek are looking like they will become whiteheads soon, and I have a large bump on my cheek that might just turn cystic at some point. Hopefully, this really is the tretinoin bringing stuff up to the surface, and my skin will get better once all of the pores get unclogged. Since I haven't had any redness from the tretinoin, I'm planning to increase the frequency of application to see if I can accelerate any initial breakout. If I start to notice any excessive peeling, I'll scale back, but in the meanwhile, I'm going to try doing buffered Ziana every night, before eventually moving up to non-buffered Ziana in a week or two. Coming off my third consecutive night of applying buffered Ziana, my skin still shows no redness, flaking or irritation. I have even been using salicylic acid 2% during the day, without any problems. My skin is looking better than a few days ago. A few of the clogged pores erupted into very, very tiny whiteheads that are now already gone. There was also one plug that looked like it was being pushed out of the pore, so I plucked it out with a tweezer leaving just a tiny brown spot. I anticipate there will be more of this in the next few weeks. As for the two problem spots: I put some Mario Badescu drying lotion on the huge pustule, and it is now a mostly flattened dark pink spot; still noticeable but not as nasty as it looked earlier this week. As for the bump on my cheek, it's turned into a large, pink pimple. No redness or head yet, but it doesn't feel cystic or nodular yet. I've been applying buffering lotion and tea trea oil during the day, so hopefully that combined with the Ziana at night will make it go away. Other changes in my routine to note: I have switched from Biore Aqua Rich Watery Essence Sunscreen back to Biore Perfect MIlk. It's much more mattifying/drying, but I think all the extra hydration of the Aqua Rich was not doing my skin any favors. I also have resumed use of a vitamin C serum, after stopping for a few months. I apply after washing my face in the morning. Week 1 wrap-up: Applied buffered Ziana 5x this week. I skipped salicylic acid today, but I noticed a bit of tightness/dryness over the course of the day (no flakes though). The tretinoin is bringing up acne to the surface. Three bumps have turned into small, inflamed whiteheads, and one pre-existing nodule on my jawline that has been around for about a month suddenly turned dark red and came to a head yesterday. 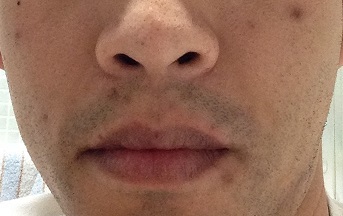 Overall, I have two clusters of breakouts: one small cluster on each side of my cheeks, close to the chin/jawline. Those areas are starting to look red and inflamed from the acne, but I don't see any redness or flakiness elsewhere yet. Hi, your post on 10 September with that pic is looking really good. In fact, to the uninitiated, nobody would have guessed you have acne just looking at the pic. I'm surprised that your latest update says it has gotten worse with 'clusters' of breakouts? @ Convinceme: Yes, my acne has gotten noticeably worse since early September. It's still mild, but I do have two small clusters of breakouts: one on the lower part of each cheek, just above the jawline. Each cluster consists of 2-3 pimples, mostly a mix of whiteheads and cystic/nodular acne. 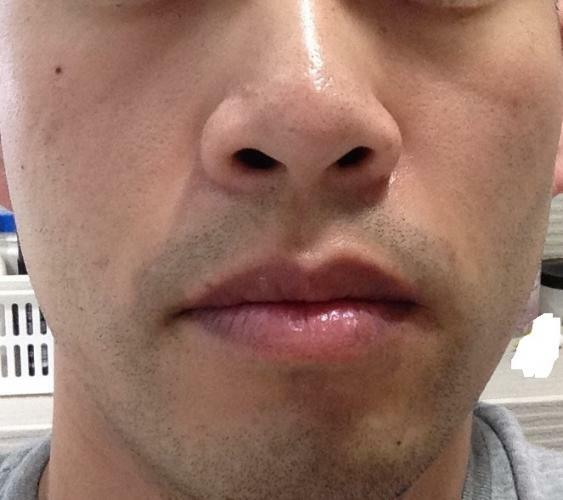 I also have a few spots of hyperpigmentation above my lip, which are especially noticeable in bright light. Since starting tretinoin, I've avoided applying glycolic acid or hydroquinone, so these spots might take a while to fade. Update: For the past two days, I've changed my tretinoin buffering strategy. At night, I wash my face, use toner and then apply Cerave Facial PM. A few hours later, I apply a thin layer of undiluted Ziana gel before bed. The reason for this is that I do like to wash off my sunscreen and clean my face as soon as I get home, but I have read that tretinoin can be deactivated by any visible light, so I try to put it on right before I turn the lights off. I have noticed a small amount of flakiness in a few spots, but no redness, dryness or other irritation. In the aforementioned clusters, the two bumps on the right side of my face have turned into large cystic pimples. One came to a head yesterday, and I couldn't resist popping it - lots of pus and a hard plug came out. It's now kind of crusty but looks on its way to healing. The other one is red and tender, but hasn't come to a head yet. the two bumps on the right side of my face have turned into large cystic pimples. Thanks for the reply. Would you have a photo to go along with that description? Man, it sounds just like me, without the plug but lots of pus and some blood. It's drying up now and hopefully it doesn't relapse. @ Convinceme: Thanks. I guess how we feel about our skin is all relative; I am thankful that I don't have severe or even moderate acne, but my breakouts and the dark hyperpigmentation spots are still bothersome. I also work in a senior, client-facing role at work, so it's easy to get self-conscious about my skin, especially since it can literally go from completely clear to broken out in a matter of weeks. Week 2 wrap-up: I used Ziana every day this past week, applying a few hours after moisturizing as mentioned above. Lots of congested pores still, but no redness or generalized flaking (only some flakiness where there are healing pimples). The acne on the lower third of my face continues coming. The two cystic pimples from last week have flattened and are on their way to fading, but have been replaced by two more large cystic pimples: one on the middle of my left cheek and one at my right jawline. I normally prefer jawline acne to acne on my cheek bones, since it's a bit less noticeable, but this sucker was extremely red, tender and painful for several days. Both cysts emerged about five days ago (just after my last post). The jawline cyst came to a head this morning, and while the one on my cheek hasn't come to a head yet, it looks like it is flattening. I also had one or two small whiteheads this week, but they disappeared quickly. Overall, it seems like my acne is coming and going much faster than usual. These various cystic pimples have a lifespan of about a week, whereas they used to last 2-3 weeks without tretinoin. If this is the initial breakout, I guess it's not that bad, but I hope there are not worse breakouts in the coming weeks. Week 3 wrap-up: This is my third week of using Ziana daily after moisturizing. No new breakouts this week, and in fact, I have no active acne at the moment. The two cysts from my last post are now flat and healing, although I can feel the remnants of the nodules in my skin. I had one other spot that looked like it was going to become a cyst, but it ended up coming to the surface like a whitehead, quickly dried up, and then flaked off the same day. I still have a handful of clogged pores and closed comedones, and lots of dark hyperpigmentation spots that I am hoping will go away. Hopefully, the worse of the initial breakout is over. Just when I thought the initial breakout might be subsiding, another wave of breakouts is emerging. I woke up this morning to discover that two clogged pores on my left cheekbone are red, swollen and tender to the touch. They don't look that bad yet, but I am spot treating them today with the hope that they don't become cystic. I also have a number of small but annoying under-the-surface pimples just below my nose, although these aren't inflamed yet. I have made another change to my regimen that I forgot to mention in my last post. I read somewhere online that Ziana does not interact well with witch hazel, so I've stopped using toner at night. Also, I tried waiting to switch up the order of moisturizer then Ziana, but my skin tends to be really dry after I wash my face, so it's most comfortable to moisturize first and then apply Ziana afterwards. Given that I haven't experienced any redness or peeling over the past three weeks, I am wondering if I need to move up to something stronger to see faster results. When I go back to the States in a few months, I'll ask my doctor about 0.05% tretinoin. Week 4 wrap-up: My skin seems to be alternating between good and bad weeks, and this is one of the bad weeks. Since my last post, the two pimples on my left cheek became cystic, although they haven’t fully emerged. A third clogged pore erupted into a giant pustule, came to an ugly head, and now is finally healing. I also have a closed comedone above my lip that developed into a large red pimple and come to a head. I am thinking about resuming oral antibiotics for a few weeks in order to ride out this initial breakout, although if so, it'll be something other than minocycline. On another note, I have finally started to notice the visible side effects of tretinoin. My skin felt a bit dry this past week, and I’ve started to notice some peeling on the edges of my face, especially along my sideburns and jaw line. I might need to switch back to a richer, more moisturizing sunscreen if the dryness continues. When I first started applying Ziana, I would wake up with an incredibly sticky face. The tretinoin gel made my skin feel sticky and tacky, almost as if it were covered in a thin layer of pancake syrup. After about a week, that sensation went away, and I would wake up with fairly normal skin. In the past few days, however, my skin has been looking oily in the morning, especially my nose. I am also noticing more small blackheads on my nose. I am not sure why this is the case, but I think there are three possible reasons: (1) the weather has gotten much more humid recently, (2) the Ziana gel is too drying for my skin, which has over-compensated by getting oily, or (3) my skin in that area is just oily in general, so I should cut back on putting moisturizer on my nose. In the past week, the tretinoin side effects have subsided: I have a small amount of dryness and itchiness, but no redness or peeling. As for the initial breakout, I've seen a few small pimples emerge but nothing too big: one small whitehead above my brow that is now healing and one pustule above my lip that I've been spot-treating with drying lotion. The two cystic pimples on my left cheekbone are still there, but they haven't gotten any larger and one of them seems to be slowly coming to a head. The giant pustule has now completely flattened and looks like it is healing, but it has left a large dark spot. Even though I don't have much active acne at the moment, my face looks like a battlefield because of all the post-inflammatory hyperpigmentation from all the acne breakouts from the past month. My skin is about as bad as, or even slightly worse than, it looked in the first picture from my original post. Last week, I wondered whether the concentration of tretinoin in the Ziana gel is too low (especially since I use moisturizer beforehand). I got my hands on some Retin-A 0.05% tretinoin cream, which I've been applying on my forehead and neck in the past two days. I haven't noticed any redness, flakiness or clogged pores in those areas (my forehead, unlike my nose, doesn't get that oily). I will continue monitoring, but if all goes well, I may switch to using this cream on my entire face. Week 5 wrap-up: This was a so-so week for my acne. Of the two cystic pimples on my left cheekbone, one still hasn't emerged (although it appears to have shrunk a bit) and the other came to a head and then flattened. The bad news is that a new cystic pimple literally formed right next to the dark spot where the other one used to be, essentially making the dark spot even bigger. I have another tender and fairly prominent cyst that formed on my right jaw line. Both of these new cysts have been around about three days, but they are already getting flaky so I hope they subside soon. No other active acne on my face, although I still have a lot of flesh-colored bumps especially on my chin and right cheek. It'll be just my luck if these develop into more pimples in the coming weeks. I actually wouldn't mind so much if they turned into whiteheads and then flaked off in a day or two, but a lot of my clogged pores end up turning cystic. For the past two nights, I've been applying Retin-A 0.05% tretinoin cream on my entire face. I haven't noticed any difference in terms of oiliness, stickiness, dryness or irritation (in fact, my face is actually a bit dry when I wake up in the morning), but I have noticed a small amount of flaking, especially at my hairline and just above my mouth. It's not serious peeling, and it goes away with some moisturizing, but I take it as a sign that the 0.05% concentration is working better for me. For the next few weeks, I'll mix up a few nights of Retin-A 0.05% tretinoin cream with a few nights of Ziana 0.025% tretinoin gel to ease into the higher strength. If I notice any clogged pores, I may revert back to just the gel formulation or ask my US doctor for Retin-A Micro. I've also taken to using topical clindamycin solution (Dalacin T) on my face as a spot treatment for problem areas. Additionally, I might start applying benzoyl peroxide during the day to help out with the initial breakout, especially on the areas where I have lots of clogged pores. I've been passing free time watching lots of YouTube videos about various people's Retin-A experiences. It seems like the turning point for many people is the 3-6 month mark, with improvements plateauing around the 9 month/1 year mark. To give tretinoin a fair chance, I'm going to give it at least 6 months before I decide on anything different. If the breakouts are still coming at that point, I'll explore the possibility of Accutane again. I know that it comes with its own serious side effects and initial breakout, but I am starting to get sick of fighting bad skin. Week 6 wrap-up: There is still no end in sight for my breakouts. One of the big cystic pimples from last week finally subsided, leaving a very dark spot. The rest of the cysts have persisted, and I also have a few new breakouts along my lower right cheek and all around my chin. A few of them are cystic/nodular bumps, and the rest are large whiteheads that I am spot treating during the day. It's frustrating because I don't know how long the breakout is going to last, but I am just taking things one day at a time. To try to minimize the breakout, I have been taking oral doxycyline in the evening and using topical clindamycin solution for the past week, but it hasn't had much of an effect yet. In the past week, I've also noticed much more itchiness and flaking than before, especially at the end of a long day. To minimize irritation, I've stopped using salicylic acid during the day, and I have switched back to using just Ziana at night, rather than the stronger Retin-A 005% tretinoin cream. I am hoping, though, that the slight peeling means that it's continuing to work. Week 7 wrap-up: This was a relatively good week for my skin, although I am still breaking out. Most of the cystic/nodular pimples from the past few weeks are finally flattening; I only have one lingering cyst on my left cheekbone and one tiny cyst on my right cheek. One of the cysts finally came to a head and I popped it; a lot of pus and a hard plug came out, so now there is a large, dark spot but it's flat and healing. I also had another spot that looked like it going to become a full-on pimple, so I squeezed it and a LOT of sebum and a small plug came out. I put some drying lotion on it, and now there is just a small red spot left. I also squeezed out a huge blackhead on my nose. I do have one potentially nodular pimple that just emerged on my right cheekbone, where there were some clogged pores that had been there for about a month. Overall, I have far fewer clogged pores and flesh-colored bumps now than I did a few months ago, which is good. The flip side though, is that tretinoin seems to have turned them into cystic pimples and whiteheads, leaving post-inflammatory hyperpigmentation spots. On a related note, the dark spots from the huge cystic pimples that I had during weeks 1-2 have faded significantly, which is good. I haven't been using vitamin C, hydroquinone, or anything else in the past few weeks because I don't want to exacerbate my breakouts, although I might return to them once my acne is better under control.